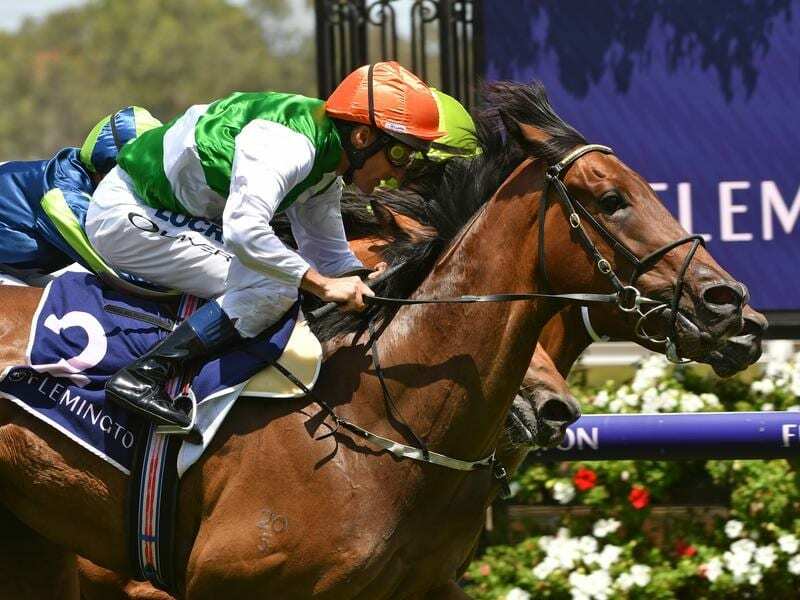 Greg Eurell admits lightly raced O’Tauto still has plenty to learn but the trainer hopes the talented gelding can put it all together quickly enough to emerge as an Australian Guineas chance. Winner of two of his four starts with another two seconds, O’Tauto steps up in class in Saturday’s Group Three C S Hayes Stakes (1400m) for three-year-old colts and geldings at Flemington off a last-start win over the same course in benchmark 70 grade. Eurell said he would like to head that way with O’Tauto but the gelding’s performance would have to warrant continuing on that path. “This will be his toughest assignment to date but he’s certainly worth going forward and tackling a better race,” Eurell said. “Although he has won over 1400 metres, I’m pretty keen to get him up to 1600 metres and see what he can do over that distance. O’Tauto took a while to wind up in his most recent start on January 12 before being strong through the line to win narrowly. “I think he’s certainly got a lot of ingredients there to make a good quality horse and step up to better quality races,” Eurell said. “The biggest negative is that he is still very raw and very new about what he does. “He’s not doing anything wrong but the penny just hasn’t dropped yet. “I’m sure the more we race him he can only improve. So it’s something to look forward to. O’Tauto was among the leading chances in an early market for the C S Hayes on Wednesday at $6.50, just behind $6 favourite Adana in a capacity field which includes Victoria Derby winner Extra Brut and Sandown Guineas winner Ringerdingding. O’Tauto also holds a nomination for the All-Star Mile on March 16 and was 37th in voting on Wednesday.